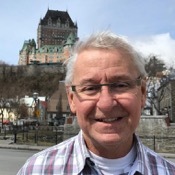 Quebec City is a disabled-friendly city. I can also provide, at no additional cost, a walker with wheels and seat or a wheelchair if required. Just let le know your needs. 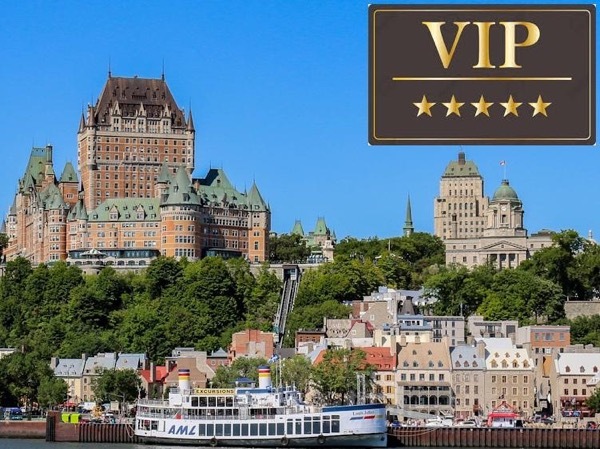 Enjoy the QUEBEC VIP EXPERIENCE. An 11-Hour tour including a visit of the main attractions, tastings of local products in addition tolunch and dinner in renowned restaurants. Canada's oldest city is also its most charming. Explore its narrow streets, outstanding buldings and splendid churches. You'll learn about the Battle of Abraham and, in the heart of the Fortifications, you'll visit the Citadel and attend the Changing of the Guard Ceremony*. After lunch, we'll drive along the St-Lawrence River to the majestic Basilica of Ste-Anne-de-Beaupré. 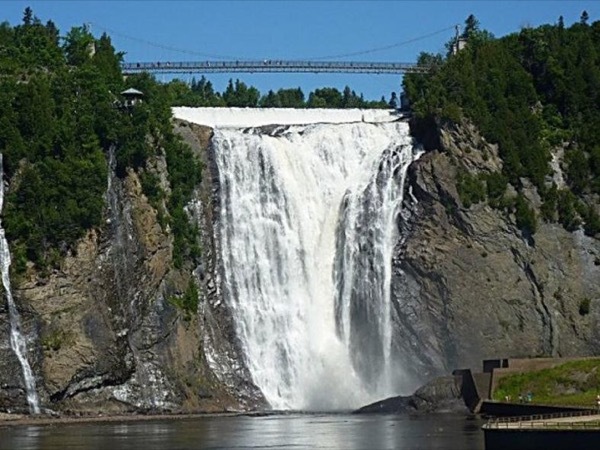 We'll also stop at Montmorency Fall, much higher than Niagara Falls ! 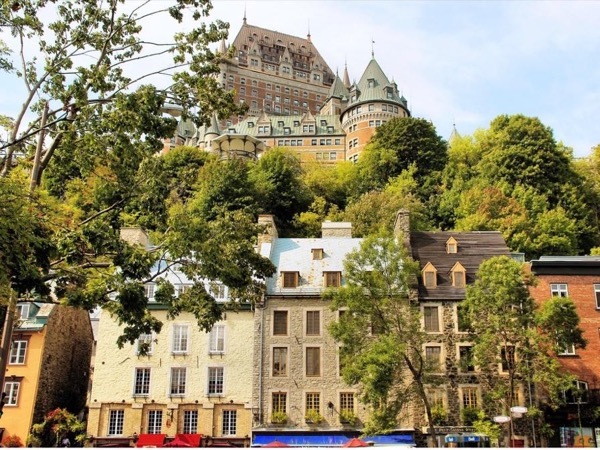 On the picturesque Island of Orleans, you'll taste some delicious local products before ending the tour with a 5-Course dinner at one of the best restaurant of Quebec City. 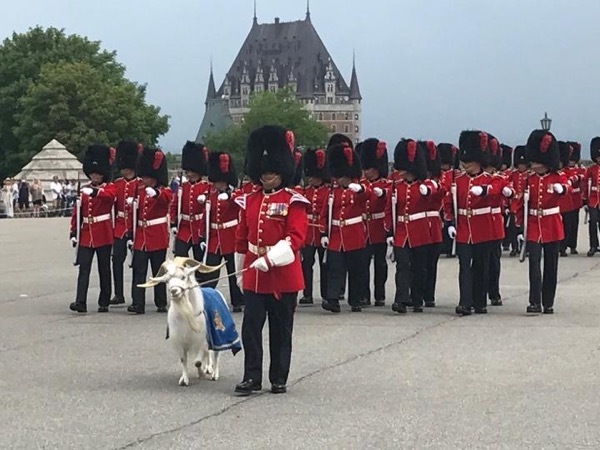 * : Please note that the Changing of the Guard takes place every day at 10AM, except in case of rain, from June 24th to Labor Day. In order to attend the ceremony, we have to start the tour at 9 AM. 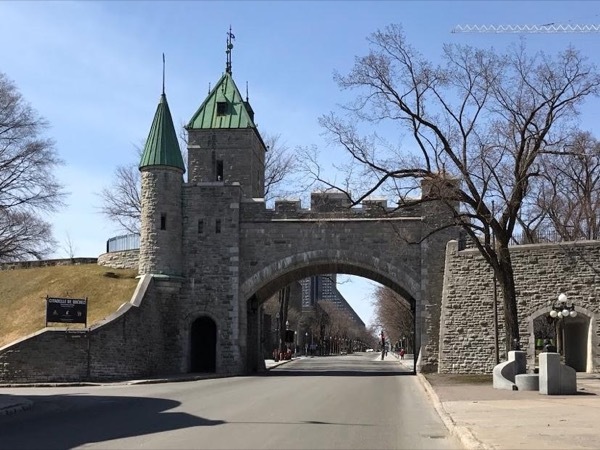 - Plains of Abraham, Fine Art Museum and Joan of Arch's Garden, Parliament Building and «Fontaine de Tourny, Citadel and Changing of the Guard ceremony. 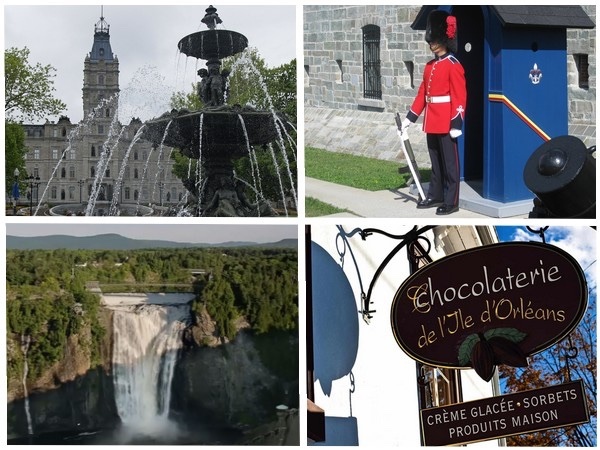 - Countryside: Montmorency Fall, Royal Road, Ste-Anne-de-Beaupré Shrine Basilica - Island of Orleans: historic villages and churches, three tastings of chocolate, Black Current Wines and cheese. 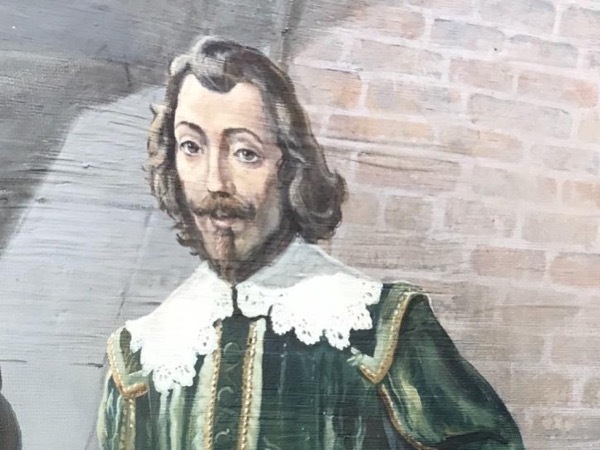 Please note that the Changing de la Garde ceremony takes place every day at 10AM, except in case of rain, from June 24th to Labor Day. To make it possible to attend the ceremony, the Tour starts at 9AM. The tour may last a little longer, depending the traffic or other unforeseeable factors. However, travelers will be back on time to their cruise ship or to the airport. 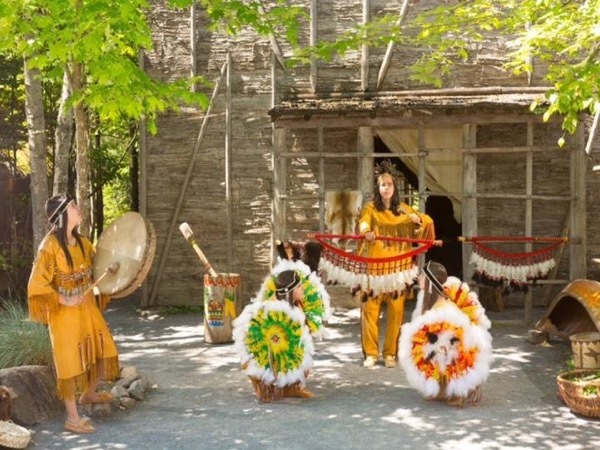 This tour includes a part by foot and a part by vehicle, a KIA SEDONA LX 2019. Very comfortable for 5 passengers, this vehicle can accommodate up to 7 people with 3 people sitting on each of the two back seats. For more than 7 people,a larger vehicle will be required. An extra charge will apply. 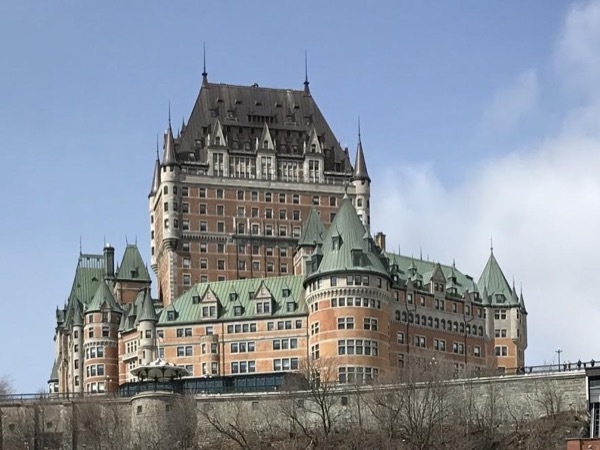 10 CAD - All being included in this VIP Tour, the only extra that travelers have to pay is for alcoholic drinks and wine during the meals. Alcoholic beverages and wine during the meals. My car, a KIA SEDONA LX 2019, 8 passengers, can accommodate very comfortably 5 guests, and up to 7 with 2 people seated in the middle seats. For 8 people and more, an extra charge will apply for van rental.